I've been playing a little Settlers of Catan lately, including the iPhone ad-app-tation (hahaha see what I did there). 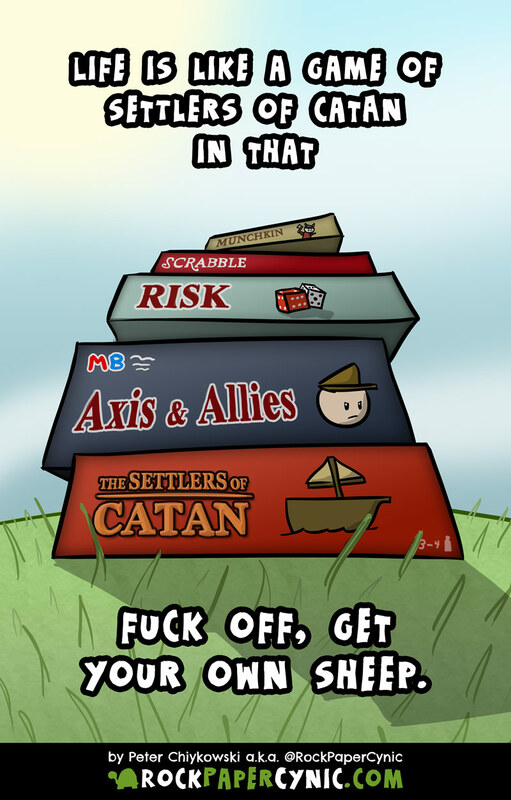 I've actually had a bunch of Catan comics come to mind, though I'm not sure how many of them will execute well. We'll see!